Early Colonies - Match settlers, colonies, and the state they were located in. Historical Documents - Match the document, its purpose and the main author of the document. 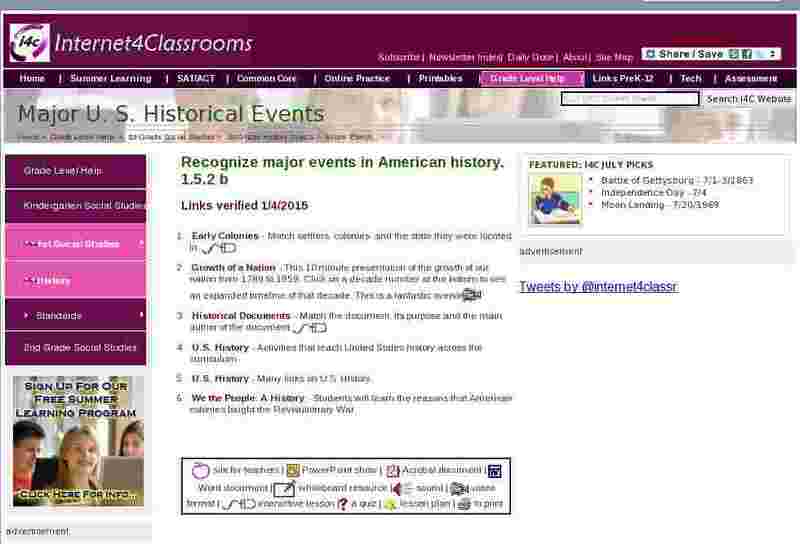 U.S. History - Activities that teach United States history across the curriculum. U.S. History - Many links on U.S. History. We the People: A History - Students will learn the reasons that American colonies fought the Revolutionary War.